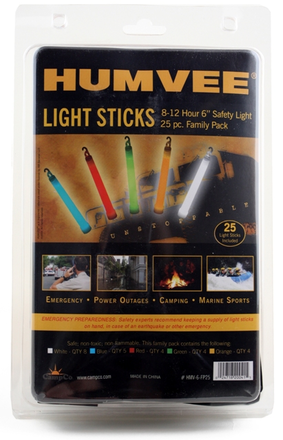 This Pack comes with 25 assorted colors light sticks. Each one is non-toxic and non-flammable, measures 6 inches, and glows for 8-12 hours. They also feature a molded hook, anti-roll body, and include a lanyard.